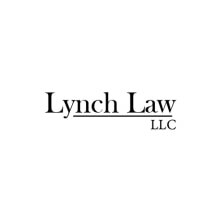 The lawyers at Lynch Law Offices in Lisle, Illinois, know that millions of people are struggling with debt, foreclosure and medical bills. Creditors are harassing you and, perhaps even garnishing wages or freezing your bank accounts. Sometimes people feel that they are just treading water, waiting to drown. No matter how hard they try, the debt and problems just keep mounting. Minimum payments sometimes don't even cover the interest. Powerful solutions to this problem exist: Chapter 7 and Chapter 13 bankruptcy. By filing for bankruptcy with our law firm, you obtain immediate relief in the form of an automatic stay, which freezes creditors in their tracks. Garnishments also end, and unsecured debts are either paid back through a reasonable plan or completely discharged. In these unsettling times, it is wise to learn more about the benefits of Chapter 7 and Chapter 13. Bankruptcy can help you save your home and car and get a fresh start. The attorneys at Lynch Law Offices are experienced at providing debt relief. We also provide counsel on matters relating to foreclosure defense, real estate and bankruptcy, debt relief for both individuals and businesses, debt counseling and debt management. We work closely with those experiencing life changes, such as divorce or death of a spouse. At Lynch Law Offices we treat clients as individuals, personalizing our service to match your situation, and you can always feel confident that your attorney is ready to answer your questions and provide you with the best legal counsel throughout your case. Our law offices are conveniently located in Lisle (DuPage County). Our law firm offers free initial consultations, and we are available evenings and weekends by appointment.